They didn’t sleep. But they did dream big. During an overnight event held at the USC Institute for Creative Technologies, teams of biomedical engineers, computer scientists, physical therapists and even toy designers took part in “Hacking Virtual Medicine,” a design, development and coding marathon that challenged participants to create virtual reality health care solutions for patients and providers. 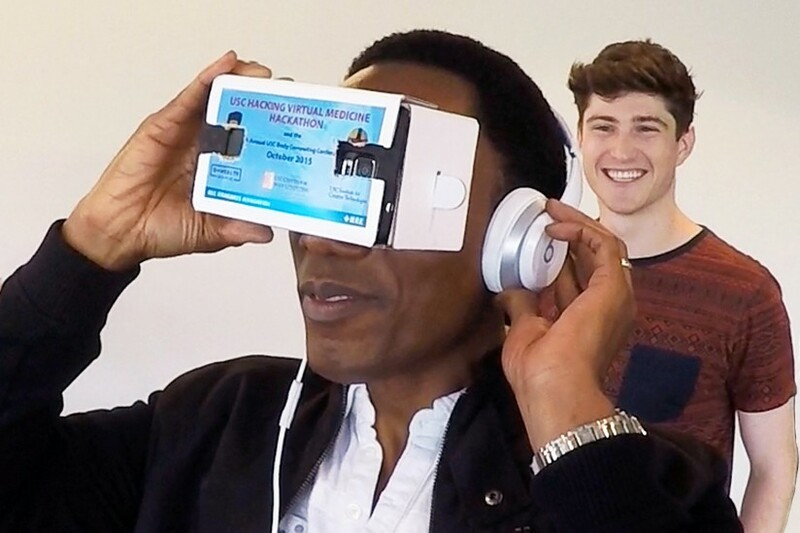 Using game design software and smartphones enhanced with cardboard 3-D viewers on Oct. 3-4, six teams addressed problems of disease management, social isolation, on-the-job training and doctor-patient communication. To build empathy — and encourage treatment compliance — a USC team simulated what diabetic patients might experience if they lose their eyesight due to disease progression. California Institute of Technology contestants captured the chaos of a code blue emergency in a hospital room to prepare budding physicians before they experience the real thing. And a trio with day jobs at the Walt Disney Co. designed a way to immersively display internal organs so doctors can better explain what is going on inside of bodies. 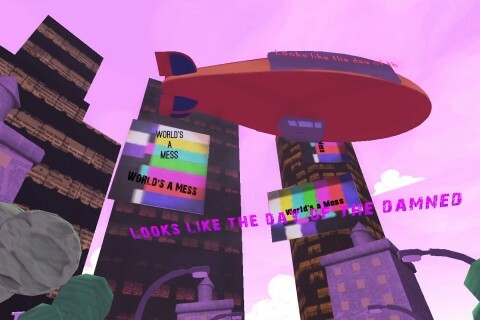 Virtual reality used to be out of reach in terms of cost and capabilities, but that is no longer the case. After working through the night, the teams presented their prototypes Oct. 4. The judges invited three of them to continue developing their ideas throughout the rest of the week. After another round of judging, the winning team will present its work Oct. 9 at the ninth Annual Body Computing Conference and receive $10,000 to continue development. Each year the CBC holds a digital health competition in conjunction with the Body Computing Conference. This is the first one to use virtual reality. For participant PheOnix RuachShaddai, the future is now. She recently completed a biomedical engineering program at Laney College and the University of California, Berkeley, and is caring for her grandmother, who has Alzheimer’s disease and has suffered strokes while struggling in her direct communication with doctors. “I decided why don’t I just make something to help my grandmother instead of waiting for the medical establishment,” she said. RuachShaddai and teammate Calvin Yu presented “RxVR,” a virtual reality immersion platform for delivering holistic therapies and psychological support. It was the sort of patient-centered perspective that the hackathon organizers were hoping to inspire. “RxVR” was among the teams to make it to the next round. But more importantly, every submission represented the vision behind the collaborative event. The event was sponsored by CBC, ICT and the IEEE Standards Association, with support from USC D-Health @HTE and Doctor Evidence. Advisers from these groups were on hand to provide technical support, clinical data and medical expertise. Representatives from CBC, ICT and IEEE served as judges. Meet a computer science professor who wants people to move more naturally in immersive environments. 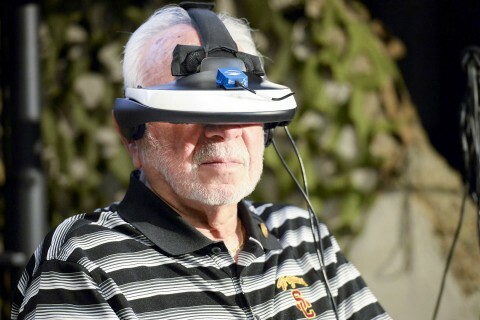 Group sees the latest from USC’s Institute for Creative Technologies — and how that technology can help the military.